This week sees Monmouthshire in Wales hosting the 2014 National Road Championships. The event involves two races: the Road Race and the Time Trial. The Road Race takes place on Sunday June 29th. The Men’s and Under 23’s course is 186 kilometres, the Women’s is 101 kilometres. Both courses look like being hard and technical. Lots of ups and downs, with the final climb at the Celtic Manor being particularly severe. A distinctive feature of this year’s Road Race course is the ‘kermesse’ style finale around Abergavenny. A ‘kermesse’ is similar to a criterium – multiple short laps of a closed-off city centre – except a kermesse features longer laps (between 5-10km). This finale should mean that the Road Race favours sprinters rather than climbers but you never know. If a team is well organised then they might be able to get their climber across the line first. Prime contenders for the Men’s Road Race will be Mark Cavendish, Sir Bradley Wiggins and last year’s Under 23 Champion Simon Yates. The Women’s Road Race looks like being fought out between Laura Trott, Lucy Garner and current champion Lizzie Armistead. The Under 23 races run simultaneously with the elite races. Which can be odd for the Under 23 riders to organise their tactics and positioning within their classification all mixed in with elites. The National Championships have always done it like this and it has become something of a unique feature of the Under 23 competition. Last year’s runner-up Owain Doull (aged 21) is the rider to watch in the Under 23 category. With Simon Yates now competing in the elite category there could be no stopping Doull claiming the top spot. The Time Trial takes place on Thursday June 26th. The course is 21km. The Men’s race is two laps. The Women’s and Under 23’s race is one lap. The lap sounds relatively short but those are Monmouthshire kilometres remember. Hilly is an understatement. Where the Road Race arguably favours sprinters, the Time Trial course should play to the strengths of decent climbers. The Men’s Time Trial will see a showdown between reigning champ Alex Dowsett and needs-no-introduction Sir Bradley Wiggins. The remaining podium spot looks like being occupied by either David Millar, Geraint Thomas or 2013 runner-up Matt Bottrill. Olympic and world team pursuit champion Joanna Rowsell returns to defend her 2013 victory. She will be facing tough competition from Lizzie Armistead, Kastie Archibald (Rowsell’s team pursuit teammate) and Dame Sarah Storey. With so many international stars of road racing in attendance the racing is going to be fast and furious. The Monmouthshire terrain has the potential to throw up a few surprises. 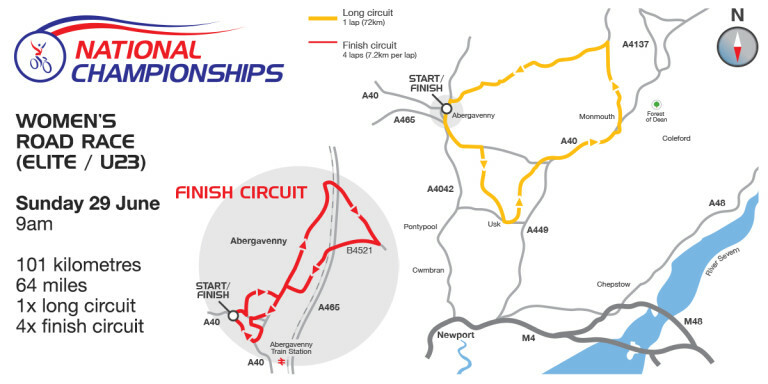 The Abergavenny sections of the courses will be rammed with rowdy spectators. 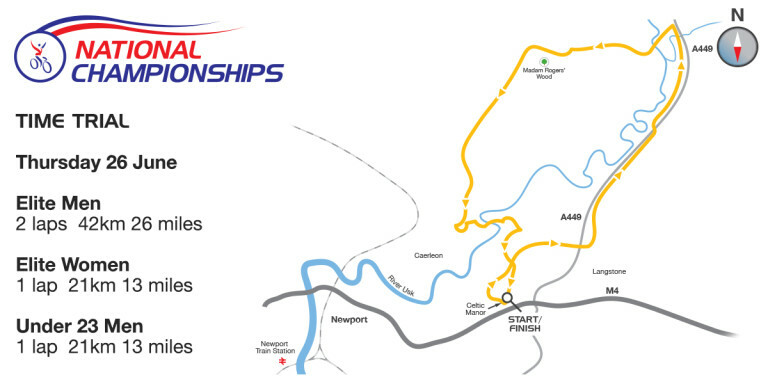 The 2014 British Cycling National Road Championships are going to be an event to remember. Have a look at the full range of road bikes on sale at Merlin Cycles. Tagged bradley wiggins, national road champs, pro cycling, pro racing, sir brad, uci, wiggo. Bookmark the permalink.